CITYECONOMIST | Dec. 18, 2015–220K Pageviews–Top 10 Posts. Foundation, which she chaired. Photo by JT Marlin. 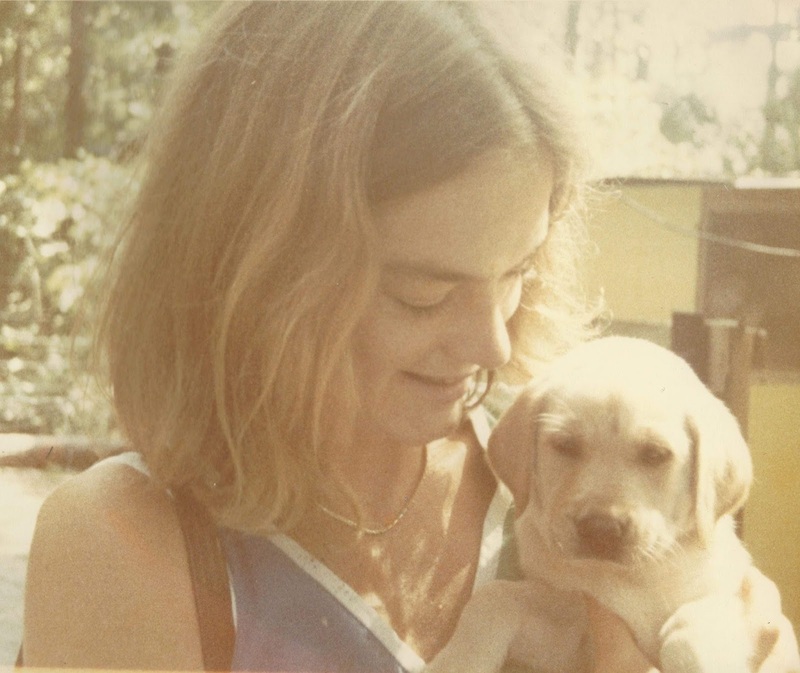 Adele Ernst Wick died at her home in Greenland, N.H. on Sunday, September 27, 2015. Born in 1950, in Gates Mills, Ohio, Adele received her B.A. in Economics from Wellesley College in 1972 (my wife Alice also graduated from Wellesley in Economics six years earlier). Adele continued her education at the University of Chicago, receiving an M.A. in economics in 1976. Adele taught Economics at the University of Tulane in the early 1980's. The family moved from New Orleans, La., to Greenland, N.H., in 1986. She took on many volunteer and free lance assignments while she was raising her children, including work on oral histories with the family of Cyrus Eaton. 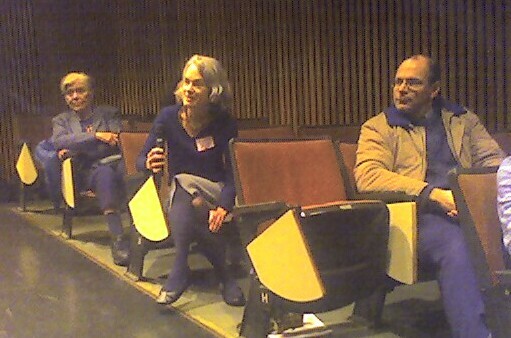 Her local work in Greenland included youth soccer, Greenland Public Library and the Weeks Brick House. She also took tremendous pride in pioneering Greenland's recycling program. Adele combined her love for friends, family, her large dogs and nature by taking frequent "walk-talks" as she would call them. She was a good listener and avoided making judgments, which made her a good board chair. She was involved in national organizations pursuing tax reform in the interest of greater and more equitable economic development. She was a peacemaker and with that credential was elected chair of the board of the Robert Schalkenbach Foundation in New York. I served on this Board and can testify to her calming influence. Schalkenbach was the printer for, and follower of, Henry George, author of Progress and Poverty. project started by Cyrus Eaton of Cleveland. April 19, 2007. John - [...] I'm about to finish The Winged Watchman. I don't want to finish it. The story, the style, and the illustrations I savor. I particularly love the beginning, making its young readers feel the war through hunger, and the father's line about preferring to think about what people do out of church to in. I usually don't look at illustrations, but hers draw me in with their delicacy, feeling and power. Thank you for introducing me to Hilda van Stockum. She is survived by her sister Mary Bole; her four children, Douglas Miller, Patrick Miller, Charlie Miller, and Elizabeth Miller; and her grandchild Henry Miller. With her death, the world is a less peaceful and beautiful place. Alice and I extend our sympathy to her family. I just today learned of Adele's death. I wanted to confirm her address for a new year's card and found her obituary. We were graduate students at the UofC forty years ago: classes together, study groups for comprehensive exams, tennis, and a lot -- a lot - of hilarious laughter. We hadn't met or spoken since, but kept up an occasional correspondence, exchanged wedding gifts -- I think about her whenever I use the teapot she gave us -- Christmas cards, and so on. It didn't seem important when there was no Christmas card last year; we all get distracted. Others have noted her crystalline intelligence, good humor, and friendship. Her children know those qualities better than anyone. Please accept condolences from one of her quondam -- one of her favorite words -- friends. David Stockman led the war on government spending for President Reagan. His idea was to "starve the beast." Reagan cut taxes, then had to restore them. Stockman still considers among his enemies those who espouse fiscal stimulus and central planning. But he now inveighs against both parties, arguing as Ralph Nader does that both are beholden to Big Money for campaign contributions. Stockman, who attended the Harvard Divinity School, says he was deeply opposed to the bailout of the financial institutions. No wonder Bill Moyers sees in David Stockman's new song a melody he likes. The financial bailouts, says Stockman, have lured American private enterprise into a casino of speculation that leads to greater economic inequality. The securities markets are rigged against small investors. 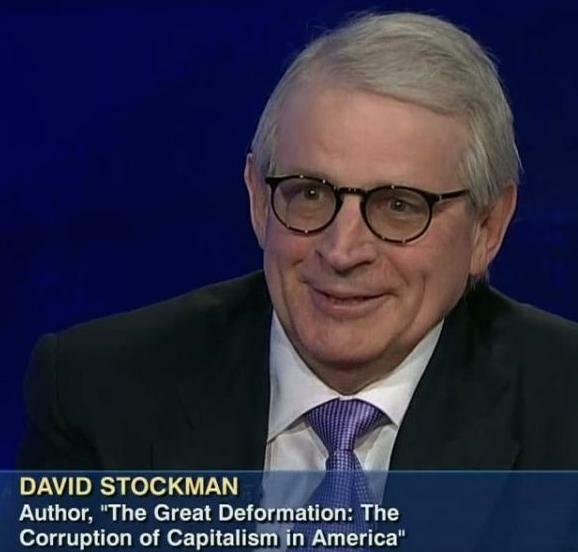 "We have neither capitalism nor democracy," says Stockman. "We have crony capitalism." It's not surprising that Stockman's villains include Democrats FDR and Barack Obama. The surprise is that they include Republicans Richard Nixon and George W. Bush ("who repudiated fiscal rectitude and ballooned the warfare state via senseless wars"), and Fed chairmen Greenspan and Bernanke. It's not surprising that his heroes include Republicans Dwight Eisenhower and Bill Simon. The surprises are Democrats Carter Glass, Harry Truman and Bill Clinton. I am bemused by the list, especially after listening to David Stockman talk to the Cato Institute in 2013. Stockman doesn't spare Ronald Reagan and Milton Friedman from his criticism. He said that his book languished, as you might expect a 700-page book on money markets to do, until it was denounced by Paul Krugman, when it shot up to #4 on the best-seller list, behind two diet books and "a book on the walking dead". There's a lot for Krugman not to like about Stockman's enemies list. How can you give credit to Carter Glass without recognizing that FDR enabled his legislation and in his response to the bank panic took a tough line on the banks? FDR and his Treasury Secretary Will Woodin let the insolvent banks stay closed. It was FDR who created the SEC, and traded the creation of the FDIC for strict laws preventing the investment banks from using the banks as a source of cheap money to speculate with. It all worked well until Glass-Steagall was chipped away at, with the biggest blows being the Gramm-Leach-Bliley Act (the Financial Services Modernization Act of 1999) and then the Commodity Futures Modernization Act of 2000. The chief engineer of these laws was an architect of the Reagan Revolution, GOP Senator Phil Gramm. Stockman was part of a revolution that got what it wanted. He just didn't want what it got. His populist call to arms against crony capitalism would be more effective if he would recognize on his enemies list the people who tore down Glass-Steagall, and champion its restoration. "zero bound"; rate will likely be raised at the next FOMC meeting. The job numbers from the BLS this morning show total nonfarm payroll employment increased by 211,000 in November. The unemployment rate was unchanged at 5.0 percent. Job gains occurred in construction, professional and technical services, and health care. Mining and information lost jobs. The numbers have been widely anticipated because they are the last before the Ides of December FOMC meeting. Fed Chair Janet Yellen made clear yesterday in her testimony before the Joint Economic Committee of the Congress that the Fed is ready to raise the zero-bound Federal Funds rate that has been at the zero-bound level since December 2008. The only major concern is lackluster economies in the rest of the world. The Fed has a dual mandate (besides the basic one of ensuring stability in financial markets) – its traditional 1913 mandate to preserve the value of the dollar by reining in lending during periods of speculation and therefore inflation, plus its 1946 mandate to ensure full employment. Interest-rate doves like Paul Krugman and Brad DeLong argue that since the United States has no inflationary pressure, interest rates should not be raised. 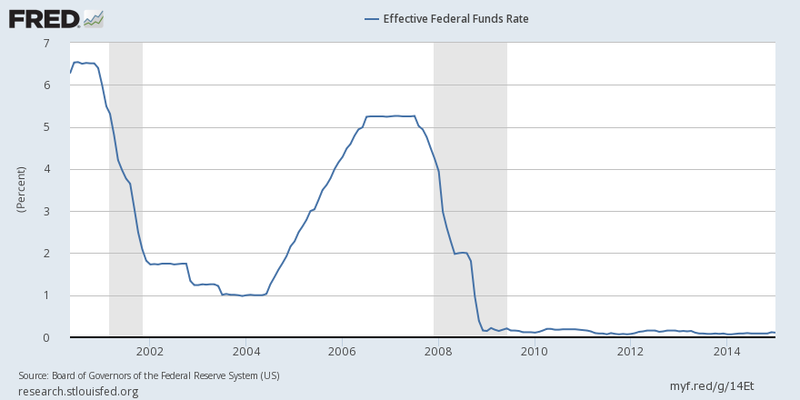 If inflation is below the 2 percent Fed inflation target, leave rates alone. While unemployment is low, the employment/population ratio is also low and economic growth has been slow. 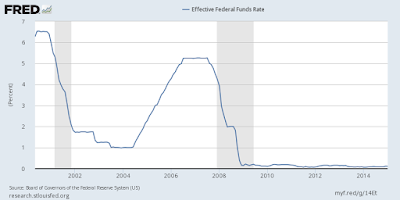 Why is anyone is thinking of raising interest rates? They are afraid raising rates will kill the economy. One answer is that the zero-bound rate is an unnatural one, giving no flexibility on the stimulus side. The Fed wants to be able to respond to economic developments in either direction. So long as it is at the zero bound, it is powerless to do much to stimulate demand, notwithstanding the QE initiatives.